Attorney Tasha Lyn Cosimo recently represented a hotel in a lawsuit brought against it by a former guest. The guest who brought the suit overstayed their welcome when she decided to stop paying her bill. When the hotel put its foot down and told the guest that no payment equals no room, the guest became angry, and as Tasha argued, took it out on the door. At the beginning of the dispute, Tasha and her clients boldly decided to deny all liability and did not make a pre-filing offer. This decision reflects the great deal of trust Tasha’s clients had in their attorney’s skills. Under ORS 20.080 if Tasha had returned with anything less than a full defense verdict her clients would have been required to pay attorney’s fees. According to the plaintiff’s version of events, the plaintiff, her boyfriend, and her five children, were in the process of moving their things out of their hotel room after being asked to leave. While they were moving their belongings out of the room, the door to the room fell out of its wooden frame. They alleged that when the door fell, it hit the plaintiff on the head and knocked her to the floor. The plaintiff claimed that several injuries resulted from this including: headaches, neck pain, and a scalp contusion. She sought payment for medical expenses and noneconomic damages totaling about $10,000. 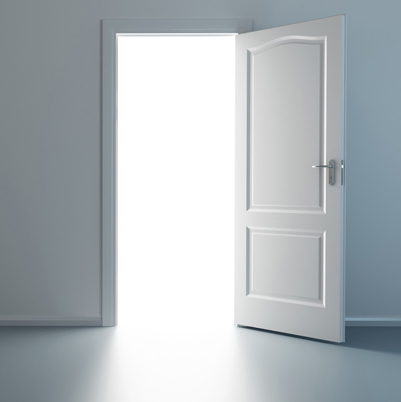 Plaintiff’s counsel relied on a res ipsa theory stating that doors don’t just fall; the hotel must have been negligent because it did, and you should infer negligence due to the fact that the door fell. Tasha argued that the reason the door came out of the frame was because the plaintiff and her family were angry at being kicked out of the hotel. She reasoned that in a fit of anger they hit, kicked, or slammed the door, causing it to become damaged, and to ultimately come crashing down. To back up her theory, Tasha brought in the manager of the hotel, who testified that there had never been any previous problems with the door. He also stated that a maid at the hotel heard a loud bang (like a gunshot) immediately before the door fell. Further, he indicated that the plaintiff’s were quite upset at being asked to leave the premises. Tasha also had photographic evidence showing that the wooden frame was split from top to bottom, a type of damage that doesn’t occur from neglect, but does occur when a sudden strong force is exerted on the wood. During a meticulous cross-examination Tasha was able to get the plaintiff to admit that she had no concerns about the supposedly neglected door. In fact, her and her children “used that door 10 times a day” for two months and never once had a problem. The arbitrator of the case found Tasha’s version of events to be much more credible than the plaintiff’s. A complete defense verdict was awarded, and needless to say Tasha’s clients are very pleased that they don’t have to a pay a penny to the plaintiff!